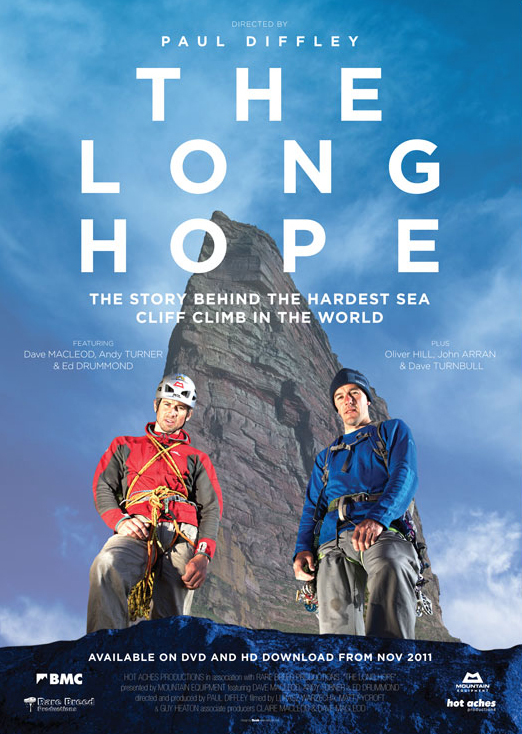 We’ve just finished arranging the DVD artwork for the Long Hope film which may be finished by the time you read this and off to the DVD manufacturers. Paul Diffley has been doing sterling work editing it and must have earned a beer or three at Kendal after the premiere. Speaking of the premiere at Kendal - it’s already sold out! 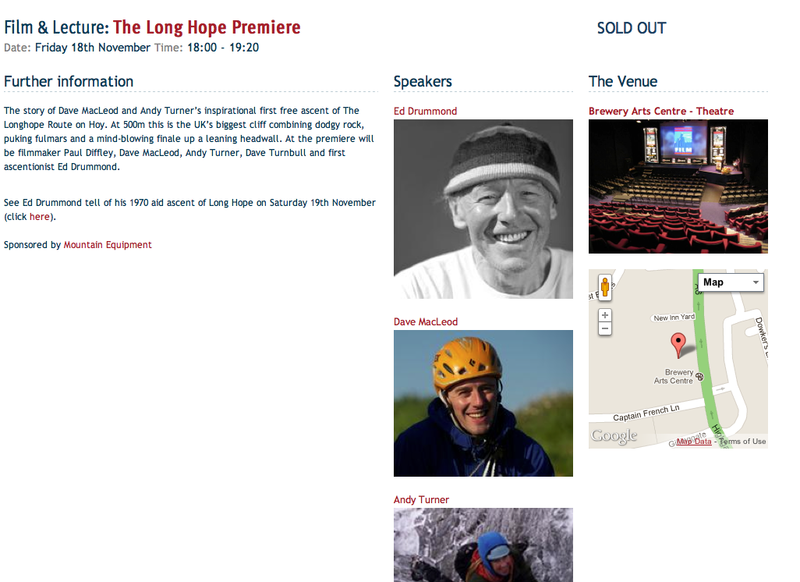 So if you want to be there, your only chance now is to enter the Mountain Equipment competition to win tickets for it. All you have to do is leave a comment here. For those of you who don’t get tickets, the DVD will be out when it comes back from the manufacturers and we’ll put it up for pre-order in the shop soon so watch this space. The film is looking really great, although I would say that. I reckon it almost makes you want to go and climb a fulmar infested loose big wall sea cliff in the middle of nowhere. Extras on the DVD include the film of my ascent of The Indian Face (E9), Mucklehouse Wall (E5 5c, 5c, 6a) on Hoy and of course our ascent of the Old Man of Hoy. Other things coming up - The Stac of Handa re-enactment I shot the other week with the BBC has a provisional slot on BBC2 Scotland/iPlayer as an Adventure Show special on Nov 22nd at 19.00.